They were promised five new walkable neighborhoods filled with shops, restaurants and housing. What they’ve gotten so far, they say, has been traffic gridlock, 27 parking facilities — some taking up entire blocks — and fewer places to live. “The arena is pretty, their people are polite, but there is nothing beyond that,” said Karen McLeod, an advisory committee member. McLeod has lived in Cass Corridor for 30 years. She lives two blocks from the arena that opened in late 2017. “Most of our parking went away through their new parking lots, and the street parking is pretty much gone because the city wanted to make sure the crowds at the arena could get out quickly,” McLeod said. A nearby party store where many residents relied on for groceries is now closed because the owners took a $3.2 million offer from a suburban developer, she noted. This Silverado stalling was just the decorative toothpick in this turd sandwich of a week in the Motor City. 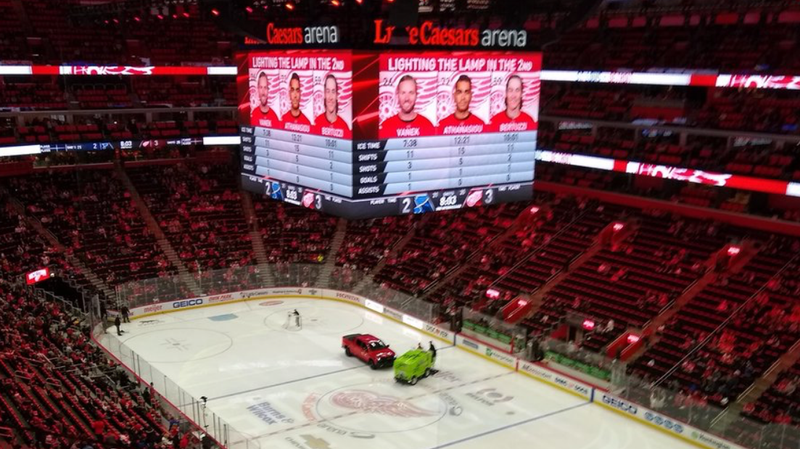 At least a Red Wings victory gives people in Detroit something to cheer for. By the looks of it, there isn’t much else.